11:00am departure from AccessPoint on Danforth. 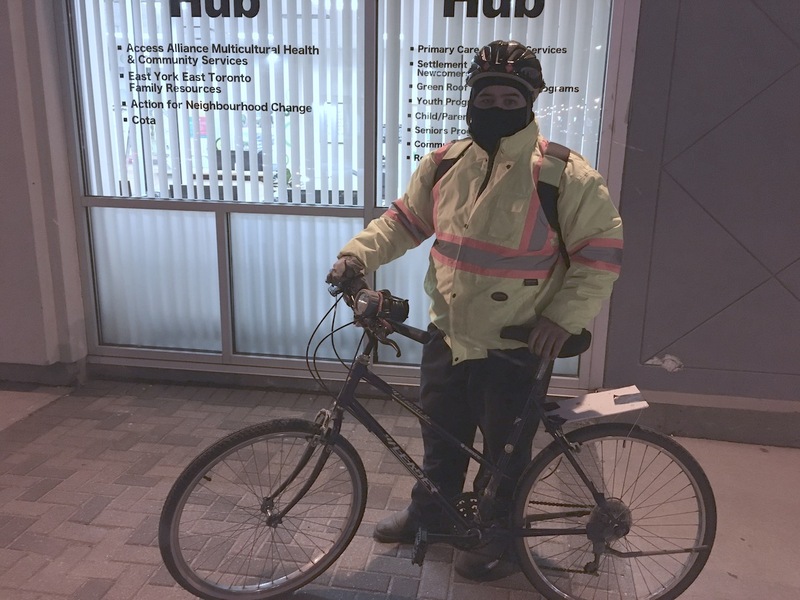 Join Scarborough Cycles for a group ride from our AccessPoint on Danforth Bike Hub to Alexander the Great Parkette (Logan Ave & Danforth Ave), where we will join hundreds of other cyclists for the annual ‘Coldest Day of the Year Ride’. We’ll meet at 11:30 am at Alexander the Great Parkette (Danforth Ave at Logan Ave) and kick things off with a few words. We’ll head out at noon for a short, family friendly ride of approx. 7km (route map here) along the some of the city’s best cycling infrastructure, ending at Betty’s on King to warm up and mingle. Both the start and end points are TTC accessible. Don’t have a bike? No problem – you can use Bike Share! Like last year, you’ll be able to take out a Bike Share bicycle for up to two hours with no additional fees. Check out their map to find your closest station.